Cupcakes and Sunshine: tips for budgeting, rewards, and free things!! It's been a little busy over here with work and classes, but I had to tell you some really great things that have been going on around here that have to do with budgets, rewards, and freebies! 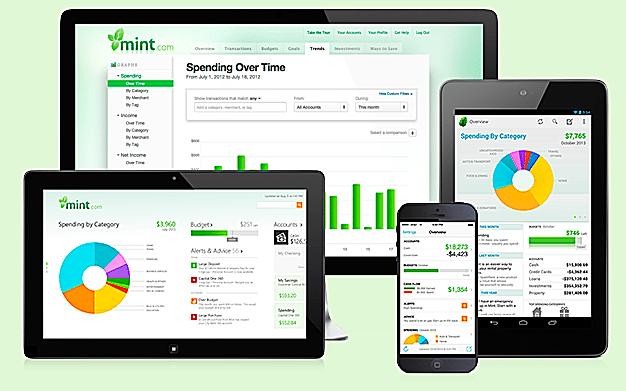 First things first, my very FAVORITE budgeting app is Mint. You link up your bank account with the app and create a monthly budget for all the areas in your life- groceries, gas & car, home/rent payments, clothing, school, etc. I did a lot of research on this app upfront, because I did not just want to give my account info to any company or business. Mint had a ton of good reviews, so I downloaded it. It is super secure and you have to enter a passcode and you can only access it with your fingerprint-touch ID once you open the app on your phone. It holds me accountable to make sure I'm not spending too much on food (which can happen often- ooops) or other random purchases (hello Target impulse buys). 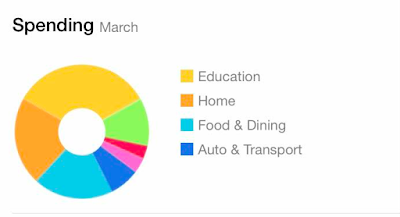 It also alerts me of when certain bills are due, or when I am close to going over budget in a certain area. Mint creates pretty, colorful graphs so you can visually see what's happening throughout the month. If you are looking for a budgeting app, I recommend this one!! Okay, now that you have your budget all set up, it's time for the free things!! I've been completing random surveys through Epoll surveys since I was in high school. This is the lamest fact about me ever🙈- but I could not wait to turn 18 in high school so I could start taking online surveys for marketing research and earn gift cards. (You legally have to be 18 to do online marketing research questionnaires) This is how I get free Starbucks all of the time! Epoll sends me email links that say, "New Survey for you!" I fill out quick questionnaires (most of them take less than ten minutes), earn points, and then buy gift cards with the points I earn. There are gift cards for Target, Starbucks, PayPal, and so much more. The questions usually ask me about the tv shows and movies I watch. (Super easy questions) I've probably earned a couple of hundred dollars doing surveys since I started. If I'm watching tv or have some free time here or there throughout the day, I'll fill one out and then BOOM. free coffee. or Target $$ for impulse buys! My next favorite app is IBOTTA. You guys, I stinking LOVE Ibotta. I would like to apologize to all the people I currently work with because I'm pretty sure I talk about it all the time! 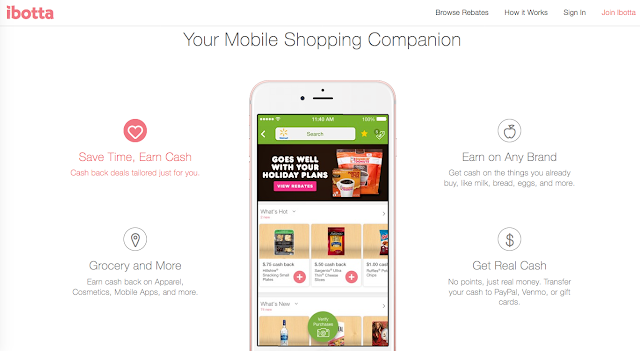 Ibotta gives you rebates on grocery items. (I made $17.75 in the first two days of having it!) You open the app, see the items you can get rebates on, select them through the app, buy them at the store, and then take a picture of your receipt and the grocery bar code. It's so easy. And I buy most of the items on the app anyways- like milk and eggs and bananas and bread. So far, Ibotta users have saved over $192,641,669. Which means a ton of people are using the app and it works! I love it. Next up, is an investing app I've been using for the past couple years. 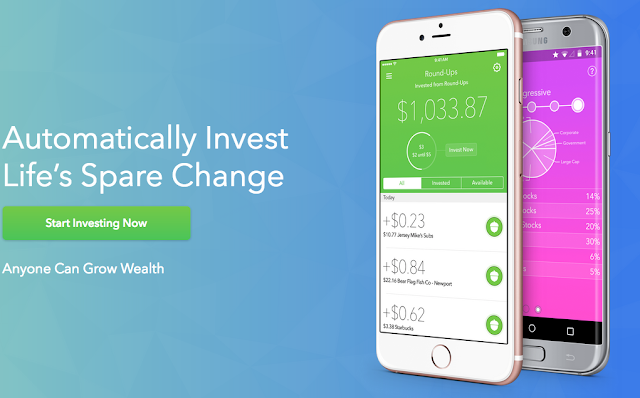 ACORNS investing is AWESOME. It bumps up all items your purchase to the next dollar and invests that excess cash for you. It invests your spare change through the round-ups. The app is super user-friendly, and you can also withdraw your cash at anytime. SO it is great for investing and learning about investments, but also if you are saving up for a certain item or trip, it'd be great just to round-up all your purchases and before you know it, you've saved for that trip without even thinking about it. 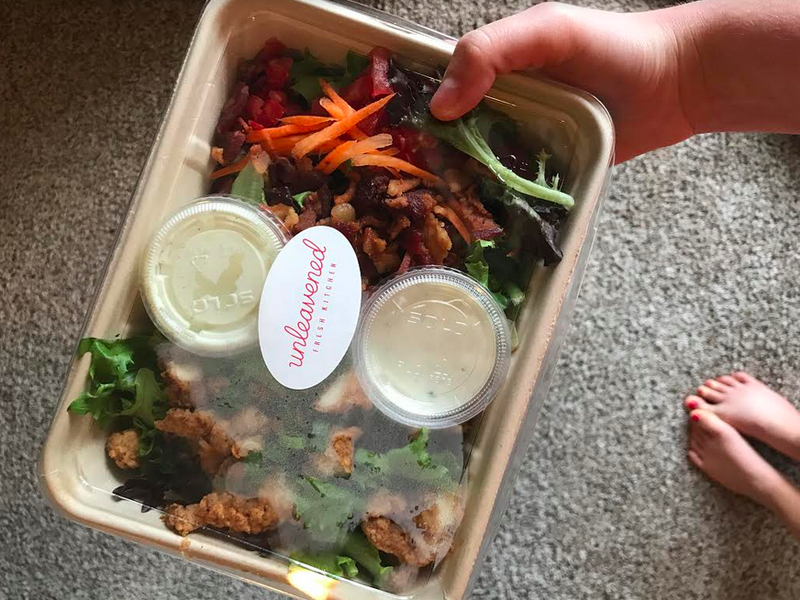 ^^ordered this salad a few days ago via Favor! Okay, let's talk about food! 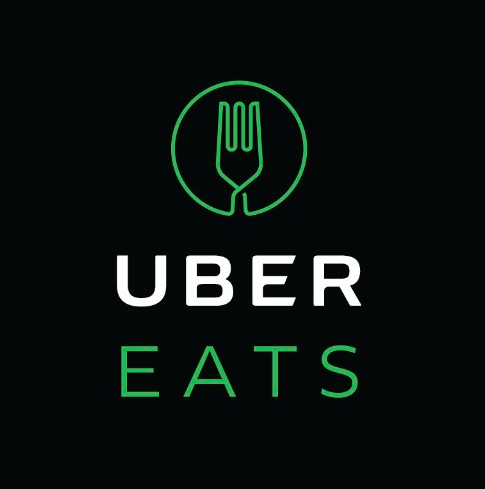 A few days ago, I mentioned that I order food from Favor and Uber Eats often. 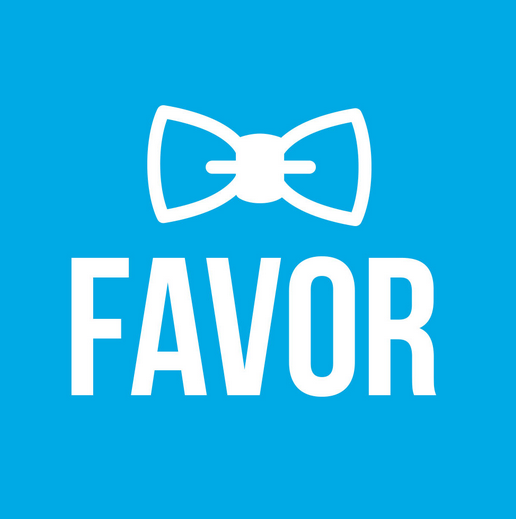 I loooooove Favor and Uber Eats. However, it can get quite pricey if you don't have a coupon or rewards code. 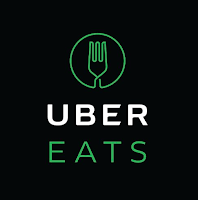 When downloading, they will send you coupons for free deliveries or $5-$15 off from time to time. This is important and you can save money by getting it delivered straight to your door, instead of actually walking into a restaurant. 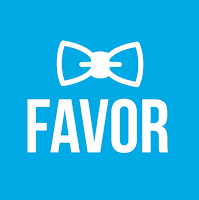 Check out the "Free Deliveries" section on Favor! They update their free delivery deals on weekends! I love Thrive Market!! And I've used it for the past couple of years as well. 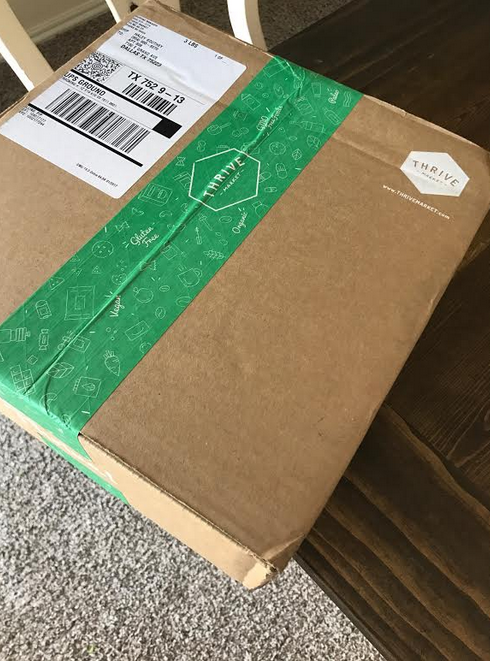 Thrive Market delivers healthy, delicious snacks and groceries right to your front door at really great prices. (Can you tell I'm all about this stay-in-your-pjs-all-day-and-eat-food kinda thing?) They oftentimes will have deals for many free items in their online shop if you make a purchase. I use reward systems like crazy! I think my Starbucks Rewards card is probably the one I use the most- with every purchase you scan your Starbucks Rewards card on your phone and earn "stars" towards free drinks and food. Sometimes they offer "star-dashes," where you can purchase a certain amount of drinks in a certain time period to add double/triple stars towards future rewards. I like to take advantage of these star-dashes if I already have gift cards towards free coffee/drinks anyways. Also, I buy Starbucks ground coffee in stores and it comes with a peel-off sticker code that you can enter online for more rewards in your Starbucks account. I also use my Whole Foods and Chick-fil-A rewards apps a lot for free treats and savings. I LOVE AirBnB. You can score some incredible rates- better than hotel prices- and stay in some pretty cool areas! I've had friends who have stayed in some super quirky/artfully decorated homes and others who have stayed in some great locations that you wouldn't be able to stay at if you were choosing hotels. AirBnB is super fun, and makes travel easy and inexpensive! cook/bring your own breakfast. I'm ALWAYS down for good eats when I'm traveling. Food, in my opinion, is one of the best perks of traveling!! Find an AirBnB with a kitchen so you can cook some meals here and there and splurge on the rest! Check out the reviews and do some research! There could be two accommodations right next door for two totally different prices. Be sure to weigh out the pros and cons of each before making your selection. Don't hop on that plane!! This past Christmas, I opted out of hopping on my plane for my scheduled time for a flight scheduled later that day. The airport rewarded me with a plane ticket to almost anywhere in the world- for free!! This minor inconvenience (which wasn't really inconvenient to me at all- I didn't mind staying at an airport two extras hours in lieu of a free plane ticket!) has paid off greatly. If you get the chance and have the flexibility to pass on a flight, DO IT! Poshmark: Sell your old things! I have had a lot of success selling and purchasing shoes from Poshmark. Of course, you can sell lots of other clothing items through the app, but I personally use it mostly for my shoes! Code "JFLVC" will earn you $5 off your first purchase! Plato's Closet: A long time ago, I wrote a post on selling items at Plato's Closet, and it has been my most popular blogpost to date! Since Plato's has been around, I've earned a couple hundred dollars selling my old clothes that I no longer want. I'm thinking of doing some spring closet cleaning very soon! Groupon: Groupon is wonderful for deals. I always forget that Groupon is a thing, but when I do remember to check the site, there are some pretty great trips and adventures that are always great deals. Bzz Agent: Bzz Agent will send you free things to try out! I've been able to try lots of new items including makeup, new food and snacks, and new cleaning products! It's always a fun, happy mail day when you receive a package from Bzz Agent. Enter contests: I enter contests a lot and I've won a lot of things from them! Giftcards, appliances, cash, home decor items, fancy dinners, trips to see broadway shows...there are lots of contests out there! The other day, I had a friend contact me who I hadn't spoken to in a few years that said..."Hey Haley- I just remember you mentioned how many contests you enter one time, and so I did, and I just had to call and tell you I won my first contest today!" My heart was so happy, y'all! Contests are the best! Whew!! Okay, that was a lot of information! What are some of your favorite money saving tips and apps? I know there are a lot out there and I'd love to hear about more!! Also, I'm leaving some links below for some of my favorite money-saving blogposts! Happy, happy rest of your weekend friends!